Home > Tech > I Want That Cloud – Or That One – No, That One!! Understanding that you need cloud space is one thing, but understanding which provider is best for you is quite another. Almost any company you ask will say that theirs is the one you need but it will be best to check them out and see what they offer, how much it will cost and how much use it will be to you. It is not the easiest thing to do but it is certainly worthwhile. Figures show that less than 30% of users carry out stringent checks even when considering newly established companies. Check As Much As You Can. Firstly look at the older companies. This does not mean that new companies are not worth considering, but if a company has survived for years, they must be doing something to keep the customers happy. It will be worth checking out who other people in your industry use, and also look for references on a company website and see if they will give you more details. Ask the provider what they know about your industry and be wary if they admit to not knowing anything. While you are at it, it will be worth looking into their finances if you can and check they will still be a going concern a few months down the line. Make sure that the person who is negotiating the service level agreement is fully aware of what you need and it is also possible to check that the service is being received in full. If you are about to trust your vital records to a system there has to be clear guidelines regarding what you can expect from the company and also a high level of penalties if they let you down. The same goes for support as it is no good getting a great price and yet have no way to get help if there are problems. 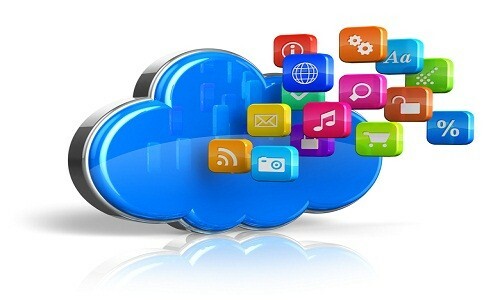 Make sure that your system is ready for cloud computing. The application programming interface (API) used by the provider must be compatible with yours or you will not be able to attach to the cloud. Always read the small print and make sure you fully understand what is being agreed. Security is very important and you must make sure you are happy that your cloud service provider will look after your information as if it was their own. It must be clear that the only people who will be able to make alterations to data have the authority to do so and access is only allowed to those who it has been agreed will have access. It will help if you can negotiate to have a named person to deal with your account. The person who pays the bills must also be able to understand what is being used. When usage is fluid it is easy to end up facing a high bill that was not expected. It is vital that there are checks made regarding how much space is being used. It does not mean that you should not use the space if it is needed, but you should always know what you will be paying each month. The more checks you make the better, and a genuine company will not be offended if you ask for proof of their capabilities. This article is a written by Sheldon Kane. He is a computer wizard, a SEO expert and a serial blogger. He writes articles on how to be the next blogging sensation or about setting up quality cloud server or how to setup a new online store.